As we approach the 21st SI Convention from 18-21 July in Kuala Lumpur, we can start to anticipate all the exciting things we will learn there. Rupa Shanmugam is hugely successful as a businesswoman in technical areas where women are seldom found. Read more about her experience and expertise in this post and read all about the programme on the SI Convention Kuala Lumpur 2019 website: https://siconventionkl2019.org/. You can register there too – this is an event you don’t want to miss! 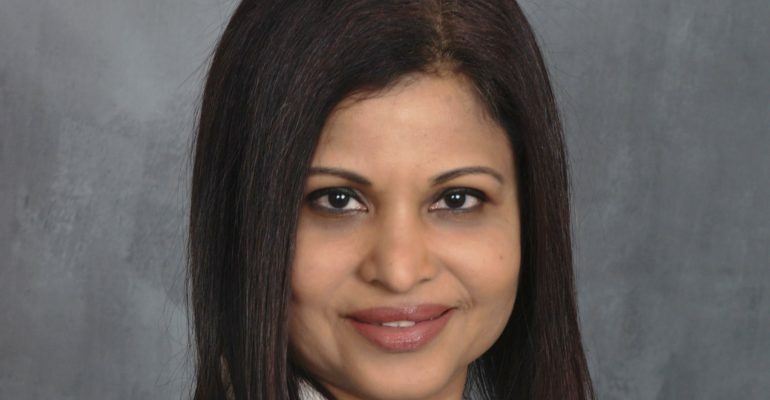 Rupa Shanmugam is the CEO and majority owner of SoPark Corporation, Western New York’s largest contract electronics manufacturer. She has over 30 years of electronics manufacturing experience in the areas of Engineering, Quality and Operations. Rupa has held the positions of Quality Support Manager at Crown International (A Harman International Company), Quality Engineer at Wabash Technologies and in various technical capacities at Western Digital, Thomson Consumer Electronics, Carsem Semiconductor in Malaysia and Singapore. In 2016, Rupa was 1 of 100 women in the US who was honoured by the Manufacturing Institute in Washington DC with the STEP Ahead Award (Science, Technology, Engineering and Production). She was also awarded the 2018 – February Honoree for Women In Leadership by New York State Women Inc. and WKBW Broadcasting. She currently serves on the Board of Directors for United Way of Buffalo, New York, as well as their Women’s Leadership Council Advisory Board and a member of Buffalo-Niagara Partnership Executive Committee. RUmpa can you consider working with Girls Rising Malawi http://www.facebook.com/GirlsRisingMalawi non profit organisation working for women and girls in Africa Malawi.